BREEF’s Sir Nicholas Nuttall Coral Reef Sculpture Garden installed off the western coastline of New Providence Island in The Bahamas earlier this month is receiving international attention from scores of on-line journals and news outlets around the world. 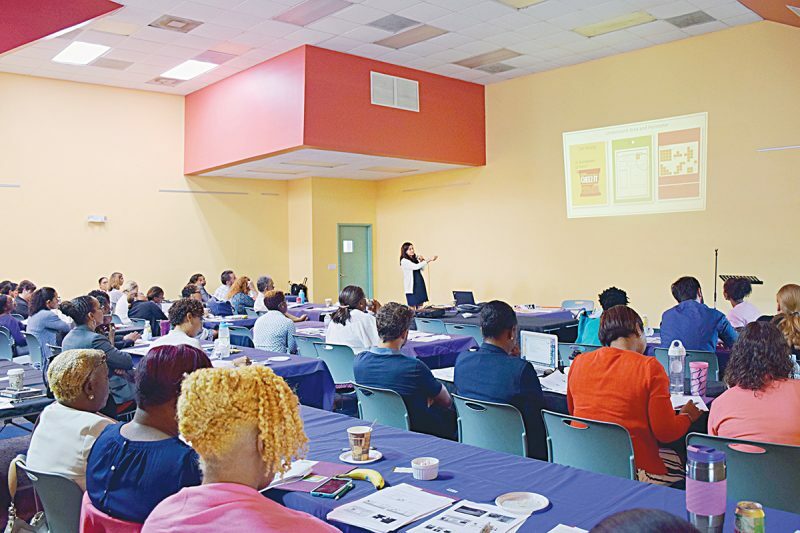 “We are excited by the recognition our project, and by extension The Bahamas, is attracting around the world,” said Casuarina McKinney-Lambert, BREEF’s executive director. The “Daily Mail” which boasts average daily circulation of over 1.7 million copies, carried the headline “Weight of the ocean on her shoulders! 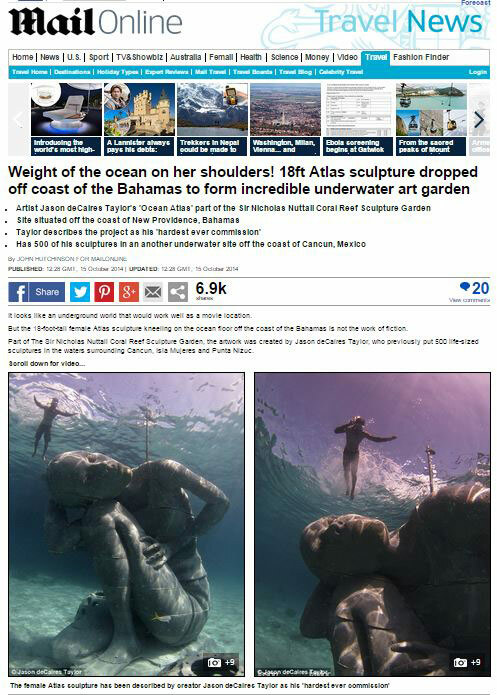 18ft Atlas sculpture dropped off coast of the Bahamas to form incredible underwater art garden” in its October 15, 2014 print and on-line issue. 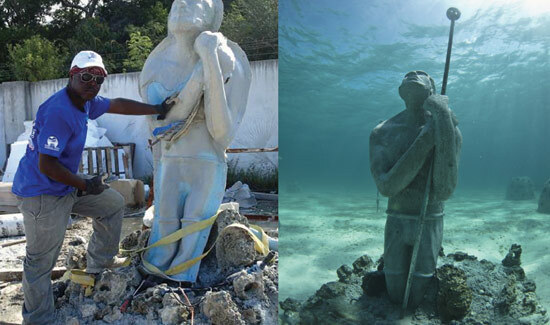 The article was referring to the centerpiece sculpture – Bahamian Ocean Atlas – a 60 ton and over 17 feet tall sculpture modelled on a young Bahamian girl by international sculptor, dive instructor and conservationist Jason deCaires Taylor. 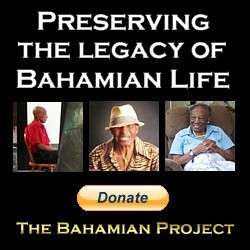 The lifestyle section of Forbes magazine has also highlighted BREEF’s marine conservation project. In the article, centerpiece sculptor Jason Taylor noted that “the aim was to show the vital role the local community and especially the younger generation have in conserving the islands’ natural resources”. 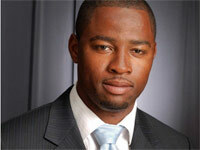 Facebook has also felt the underwater garden’s fever with posts reaching nearly 30,000 Facebook viewers. 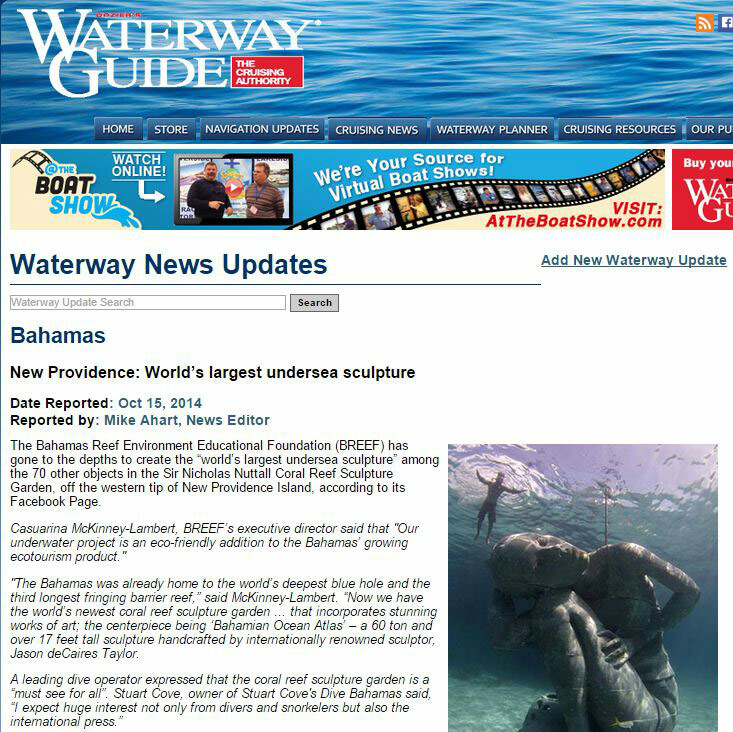 Additionally, Waterway Guide which is used by thousands of boaters who frequent the Bahamas ran the headline “New Providence: World’s Largest Undersea Sculpture”. 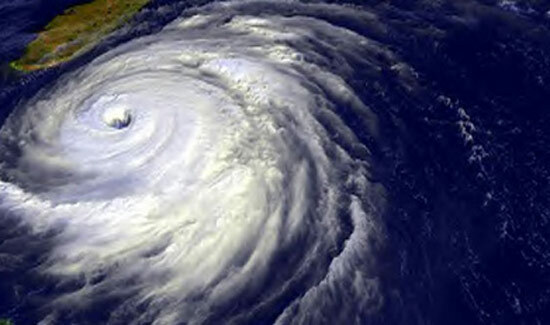 “Some US visitors I met are already planning their return trip to The Bahamas to see how the sculptures – pieces of living art- change over time as corals and other marine life make the new reefs their home,” noted McKinney-Lambert. BREEF’s Sir Nicholas Nuttall Coral Reef Sculpture Garden also includes pieces by Bahamian award winning artist Willicey Tynes and Andret John and reef balls by the Reef Ball Foundation.